The exact cause of many disorders of the mind is mostly unknown and not very well understood. Conditions such as anxiety, depression, insomnia/sleep studies, and schizophrenia are common in our society and yet we have very few solid methods for treating these ailments. While there are always ongoing psychiatry and psychology clinical trials, there is certainly a need to continue to study these important fields. Both of these fields also contribute greatly to the area of cognitive studies. If you have been diagnosed with a mental disorder you may qualify to participate in a psychiatry or psychology clinical trial. What is Psychiatry / Psychology? 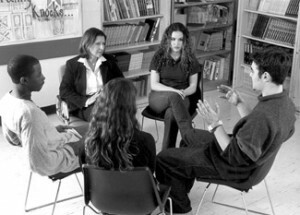 Psychiatry and psychology are two fields of study that are closely related. Psychiatry is the study of mental disorders that affect a person’s thoughts, behaviors and perceptions. A psychiatrist generally studies disorders of the brain’s circuits caused by a combination of genetics and experience. Psychiatrists are medical doctors who base their diagnoses on mental status exams and case histories. Their diagnoses are based on specific criteria and medication is often a first line of treatment for them. Psychologists on the other hand study the science of the mind and behavior. They look at things like cognition, emotions, relationships, and attention. They have a PhD and their training has a heavy emphasis on research. They use their knowledge to assess mental health problems. Common areas that both might deal with include anxiety, depression, cognitive studies, insomnia/sleep studies, and schizophrenia.